UB calculates daily in near real time wordwide sea ice concentrations, based on data of the passive microwave imager ASMR2 (Advanced Scanning Microwave Radiometer on EOS) on the NASA spacecraft Aqua. 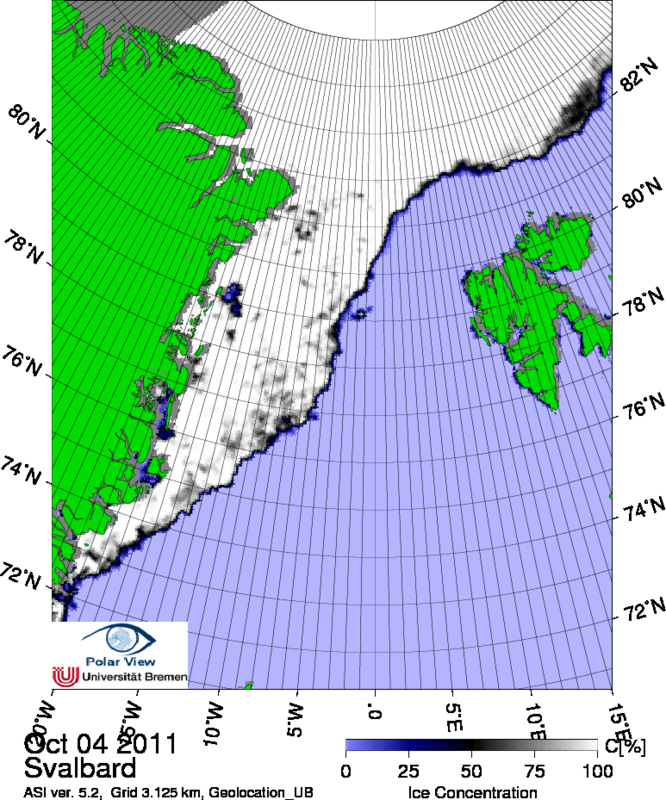 Using the highest frequency (85 GHz) channels (v and h pol) and the ASI (Artist Sea Ice) concentration algorithm, allows to present the highest resolving ice concentration maps which are currently daily and globally available. 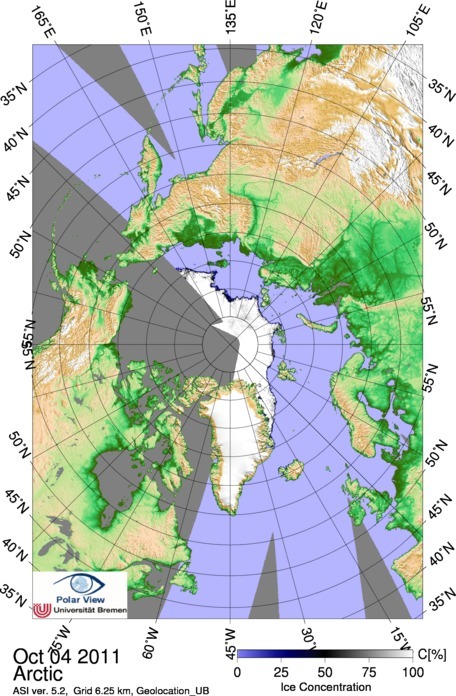 Also daily maps of thin ice thickness maps are produced from SMOS L-band passive microwave data.